Help Us Name Our New Line Of Paint! Are you a creative person? 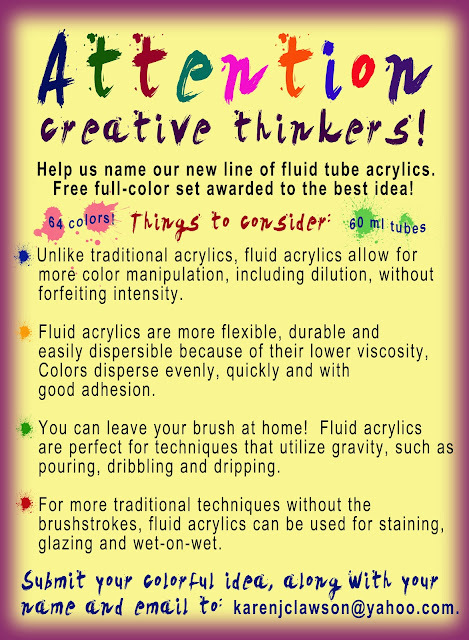 We'd like your help naming our new line of fluid acrylic paint. Submit your innovative idea to us by midnight on Sunday, April 21st, for a chance to win a full 64 color set. See below for details.